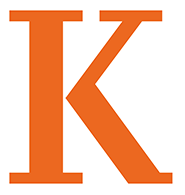 Thirty students known for their invaluable contributions to the Kalamazoo College community were honored Friday at the 15th annual Senior Leadership Recognition Awards. 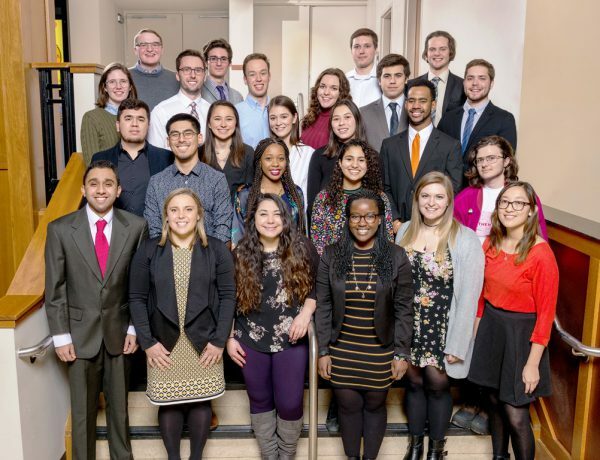 Thirty students known for their invaluable contributions to the Kalamazoo College community were honored Friday at the 15th annual Senior Leadership Recognition Awards. They were (top row, from left) Ian McKnight, Max Aulbach, Alexander Cadigan and Allen Vinson; (second row, from left), Emma Eisenbeis, Nicholas Ludka, Ian Freshwater, Sabrina Leddy, Zach Morales and Jacob Bonifacio; (third row, from left) Marco Ponce, Lauren Arquette, Sarah George, Hannah Meyers and Jordan Wiley; (fourth row, from left) Anthony Diep Rosas, Regina Shaw, Shivani Rana and Qynce Chumley; and (bottom row, from left) Sharat Kamath, Cydney Martell, Hayleigh Alamo, Nkatha Mwenda, Cecilia Ringo and Molly Brueger. Winners not pictured include Tapiwa Chikungwa, Joy Lim, Amanda Moss, Sharif Shaker and JayLashay Young. “The individual may be the person who always seems to have a positive attitude, is consistently involved in helping a group move forward, serves as a continual role model to other students, and who shows dedication, even in times of adversity,” the letter said. The Senior Leadership Recognition Award winners represent talented athletes, outstanding academic performers, members of the President’s Student Ambassadors and student-organization standouts. This entry was posted in News Stories, Student Honors and Awards and tagged biology, business, career development, chemistry, civic engagement, community reflection, computer science, East Asian studies, faculty, political science, students, study abroad, . Bookmark the permalink.